Posted July 31, 2018 by administrator & filed under Blog. The condition of your cargo during transport is heavily reliant on how well you pack it into the boxes or crates. The type of packing you choose will also be based on the goods you are dispatching, the mode of transport and the condition you want to receive it at the destination point. The type and also the nature of the packing for your cargo is based on a few factors. These include the type of product(s), the mode of transportation for dispatching your cargo, the route and the final destination, the climatic conditions, the customs duties and the freight rates, the cost of the materials for packing for your cargo, and the pallets. The type of product will mean you need to choose the packing for your cargo accordingly as size and weight and nature will play a factor. Large and heavier object are usually shipped and packaged in crates, whereas you may choose the likes of wooden cases or cardboard boxes for small to heavy cargo items. Whilst these are ideal for containerisation options, you may choose to use bags for the likes of powder products (cement), plastic drums or containers for liquid products such as oil, or bales for bulkier products such as cotton. Some products such as electronics are always best packed with moulded packing materials which are then placed into the boxes. If you do not possess the original moulds, then using packing foam would be best to ensure that your electronics do not move around during transport and does not affect the stability of the exterior packing of your cargo. The mode of transportation, that is, whether its air freight or sea freight, may also determine the amount of packing for you cargo that is needed. Air freight requires less, whereas containerised shipments will require even less than non- containerised cargo. The route of your shipment and the final destination will also play a factor in how you go about choosing the packing for your cargo. If it’s a high risk destination, it’s always better to pack diligently to avoid mishandling and pilfering. Consider the distance and the transfers. Climatic conditions are also important when choosing packing for your cargo. High humidity areas can sometimes affect the integrity of your cargo and not to mention the working conditions. Thus often, little bags of silica are packed with the cargo. If the customs or freight rates are based on the weight of the cargo, then less packing will be best for cost effectiveness. Opt for lightweight packing materials to ensure proper packing without the added weight increase. Packing materials are an added charge and based on your requirement, you need to purchase those separately. Choose from our shipping boxes and crates, and inquire with us to find out what other packing materials are ideal packing for you cargo. Posted July 30, 2018 by administrator & filed under Blog. When you are sending freight overseas, your options are either air freight or sea freight. The selection process of how you choose which way to dispatch your cargo oversea is based on a few criteria. The deciding factors are many including the level of urgency of the cargo, the physical nature of the cargo and its contents, the budget and cost for shipping and freight, special requirements for handling, the value of the cargo, the frequency of such deliveries, and not to mention, the weight and volume of the cargo. All these factors will decide how you choose to dispatch your cargo. In certain instances, there may be times that these factors may conflict with each other, in which case you, as the shipper, need to make an executive decision. For example, whilst you may require the goods to be sent urgently, the goods in question may not be authorised to be dispatched via air freight due to regulations or there may not be enough funds in the budget. If we were to consider the factors to consider when choosing how to dispatch your cargo, the following are to be considered. Depending on the nature or type of cargo you are planning on dispatching, the choice of transport is determined. If you are planning to dispatch your cargo which is perishable in nature, then the obvious choice is air freight, whereas, the likes of dangerous goods such as fertiliser cannot be sent via air freight due to regulations and must be dispatched via sea freight. The distance and geography between your point of origin and destination will decide on how you dispatch your cargo. Road, rail or sea freight may be the obvious choices for surface shipments, if not air freight will be your go to. The urgency of your delivery and based on how much priority should be given, your cargo may need to e dispatched by the fastest means possible, which is air freight, but that does not warrant for a cost effective solution. When planning procurement and supply chain, it is always a good business practice to allow for shipment in the timeline to avoid rush shipments which could be costly. The cost of your shipment will be based on size & volume, and also timeliness. Based on these factors, you may choose sea over air. A good rule to follow would be to group small shipments together. High valued shipments are often sent over air freight even if there is no time factor due to the fact that the journey will be less vigorous. Proper packing practices should always be taken, it’s always advisable to undertake the added fee and get professionals to do the packaging for you to avoid damage and also take on shipping insurance. A general rule of thumb that shippers or freight forwarders use, is that if the cargo is relatively of high value or high volume, then dispatch your cargo via air freight. If the cargo is relatively of low value or low volume, then opt to dispatch your cargo via sea freight. Posted July 6, 2018 by administrator & filed under Blog. Figuring out the different processes that is involved when shipping and to and from India is something that we undertake on your behalf. To avoid any delays when shipping to and from India, knowing the basics is the best course of action. At Transco Cargo, we have put together a quick guide and introduction on shipping to and from India, whether it’s parcels or boxes. There a few specific factors we have to look at when shipping to and from India, and those are namely; prohibited/restricted items, shipping documentation/customs clearance, personal effects/gifts, and shipping to/from remote areas. Every country, as does Australia, has their own set of restrictions and regulations that one must follow. It is the same when you partake in shipping to and from India. Prohibited items when shipping to and from India include the likes of pornographic and obscene content, maps/literature indicating incorrect external boundaries of India, ivory, whereas restricted include second hand goods, medicine (of any quantity), used electronics to name a few. For the complete list of prohibited/restricted items, visit “Restricted Items for Imports – DGFT”. Whilst when you opt to ship parcel/boxes/chests to and from India, documents shipping are exempt from such restrictions. It’s extremely important that one adheres to the list and avoid any issues that could arise due to the type/nature/category of your cargo goods. In the spirit of shipping to and from India without a hitch, it’s important to ensure that documentation and customs clearances procedures along with its relevant documentation is carried out with due attention. At Transco Cargo we not only take care of the shipping documentation required for shipping to and from India, but also are experienced to handle customs clearance/customs brokerage services. When it comes down to personal effects/gift items that would usually be sent via courier or parcel post, regardless of which option you opt for, there are still some restrictions of what can be send via parcel post or courier shipping to and from India. These include the likes of the following which are restricted personal effects/gift items that come under scrutiny when sent via courier/post; aerosols, dairy items, furs, ivory, fresh food items, animals, cash, nail polish, perfume, plants, tobacco and even seeds. Furthermore, there are certain gift items that are exempt from duty and taxes. The gift exemption is listed as INR 10,000 for both gifts and up to 10 business samples of the same kind. It should be noted that the recipient is responsible for paying duty/taxes on such items, but if you are sending a gift, you can request for those charges to be charged to the sender and not the recipient. One last thing to mention when shipping to and from India is the fact that India is a large sub-continent with a diverse geo landscape. There may be a surcharge when shipping to such remote locations to ensure delivery. Posted July 1, 2018 by administrator & filed under Blog. A freight forwarder is an important part of the cargo industry that transports trillions of goods annually. By working closely with your freight forwarder, you can ensure the best experience in shipping globally. If you are in business, by partnering up with a great freight forwarder, you can expand and grow your trading business. One of the many processes of a freight forwarder is to understand the ins and outs of international trade and logistics, along with the many regulations that come with global scale trading. Whilst to business traders, expanding onto an international level can be daunting especially with the many rules and regulations of the country’s you are dealing with, a freight forwarder will help with navigating through them with ease and expertise. Acting as middle men, the processes of a freight forwarder involves being the parties that deals with the companies (or individuals) sending cargo overseas and the shippers that are responsible for transporting the cargo. It is important to remember that freight forwarders are not shippers as a more specialised service is offered. With their understanding of international trading and its regulations, one of the processes of a freight forwarder involves facilitation of goods shipping internationally successfully. The processes of a freight forwarder are extensive, where representatives of a freight forwarding firm have a great command of the laws and regulations of global trading, the paperwork involved with sending/receiving logistics. From taking care of the cargo manifests, to shipping insurance & claims, taking care of shipping goods on internal bills of lading, there is much that a freight forwarder undertakes. 2nd Stage: The 2nd stage of the processes of a freight forwarder entails the receiving of the cargo and thereby checking and ensuring that all the cargo goods are ready for transportation. 3rd Stage: The documentation stage of the processes of a freight forwarder that involves dealing with customs clearance, whereby the submission of documents is required prior to sign-off of the goods before leaving the country of origin, that is, Australia. 4th Stage: The 4th stage of the processes of a freight forwarder includes the receipt of the goods within the destination country and the often the offer of customs clearance on this end is also provided by the freight forwarder should you need it. Once having cleared through the destination country’s customs and all paperwork handled along with payment, your cargo goods will be transported to the warehouse which is known as import haulage and thereafter delivered to address as required. Posted June 21, 2018 by administrator & filed under Uncategorized. Are you looking to import into Australia? Looking for more information on the import process flow? We have you covered! Keep reading for essential information on the Australian import process flow when importing goods into Australia. First and foremost, you should be advised that any good being imported into Australia that is valued over AUD$1000 will need to enter the country with an “Import Declaration” which can be made in a number of ways; through the ICS (Integrated Cargo System), or via the B650 Customs document. Based on various factors pertaining to the type/nature of the goods, certain fees may be generated. As the importer, you should remember that you will be required to pay Goods *& Services tax (GST) when it arrives in Australia. At Transco Cargo, we recommend you take us on as your Customs Brokers to make the Australian import process flow better and easier on yourself, as we can assist you in all matters including that of filling out the Import Declaration form. Furthermore, we can also undertake other aspects of the import process to make it a hassle free experience such as looking for cost-efficient customs tariffs. It’s important to also remember that there may be specific Australian import process procedures and formalities such as with importing medicine, waste, plants or live animals. By speaking to Transco Cargo about your goods, it will allow you to understand where your cargo goods are classified. In the event you are importing commercial samples, you may acquire an ATA carnet which will classify it as a free sample that cannot be sold and allow you certain benefits such as not needing a customs declaration and not needing to pay a deposit in the country of import. As previously mentioned, the Australian import process customs threshold from which tariffs are required lies at A$1000 and in terms of average customs duty it lies at 5%. However, for other goods such as automobiles, textiles & shoes, they will carry a higher customs tariff (17.5% on average and up to 25%). There are preferential rates when dealing with imports from Pacific countries and Papua New Guinea. The customs tax base Is usually based on the valuation of the imported goods, whereby the tax will be payable to as soon as your customs brokers, Transco Cargo, has cleared your cargo through Australian Customs. Get in touch with Transco Cargo to facilitate your Australian import process by inquiring through our website. Posted June 15, 2018 by administrator & filed under Blog. When you are shipping your cargo to another tow, out of state, or shipping it to another country, the quality of the packing plays a great factor in the condition of the goods when delivered. Assessing the goods to be shipped will enable you to understand the packing requirement. Factors to consider for your packing requirement include weight, size & shape, the nature of the contents, the content’s value, it’s fragility, its use, and also whether there are any regulations to follow. Packing requirements and influencing factors include weight, humidity, cost, and more. Let’s look through the various considerations one must look into to determine the packing requirement for your cargo shipment. Weight – This refers to how heavy the cargo will be in total. By considering the weight of the goods, you will need to assess the strength and durability of your packing requirement. You will require a box/crate that can accommodate and hold the weight of the goods without disrupting the integrity of the box/crates. Size and Shape – The goods/contents should not touch the walls of the box as it may incur injury during transportation and no room is available for cushioning materials. In the end, the contents are rounded or even shaped oddly, special attention will be needed as a packing requirement, to ensure that it doesn’t move around or the integrity of the box is impaired. Foam or packing peanuts are ideal is such situations. Form of Contents Within: In the event you are planning on shipping cargo that contains liquids or powders, a special packing requirement should be followed, where they are sealed duly to avoid spillage and/or contamination. Value of Contents Within: When you are shipping high value items, extra cushioning and due protection must be taken into consideration as a packing requirement. Fragility of Cargo: Including extra cushioning and protection to your goods is a good rule of thumb when packing. Also, do not forget to include special labelling on your box/crate. Posted June 7, 2018 by Transco International & filed under Blog. More often than not, you will end up packing your personal cargo yourself. Whilst Transco Cargo offers packing cargo services, in the event you are moving overseas or sending personal cargo to loved ones in another country, you may pack your own boxes or crates. However, as your freight forwarder, we cannot guarantee the condition of your goods being shipped and how they are received at the destination address in the event they have not been packed by us. This is based on whether the cause is lack or insufficiency of cushioning or defective condition of packing by which by the nature of the goods are liable to wastage or damage when not packed or when not properly packed. Therefore, we at Transco Cargo have put together this quick packing guide to inform you of what you need to know when packing your personal cargo yourself. Your personal cargo may end up travelling a great distance from your location to its destination and when packing your personal cargo, you need to be sure that the choice of packaging also last the entirety of the trip. Based on the type of personal cargo, you need to consider a few things. These include the weight and the fragility of the personal cargo, as special considerations need to be taken. When assessing the contents of your personal cargo, make sure to value the contents being shipped, and also adhere to the packing requirements to ensure a safe delivery. When you start packing your personal cargo, the fragility, nature and the weight of the content will need to be kept in mind. The choices for packing your personal cargo will include the likes of double wall cardboard boxes and crates such as the following. Heavier items should be stored in smaller boxes or crates as this will allow for easier transportation. For example, books should be placed in a smaller cardboard box and retain the stability of the box. Also, it is important to keep at least a 6cm distance between the contents and the walls of the box, and fill in any spaces of void with filling material/accessories such as foam peanuts, tissue, newspaper, bubble wrap, bubble packs and more. If you are planning on shipping a large and heavy item, Transco Cargo can assist you in getting such items packed with custom crating (as seen below). Once you are done packing your personal cargo into boxes or crates, sealing the cargo is important. You can use pressure sensitive tape with a width of at least 4.8cm and also adopt the H taping method to seal the edges securely. You can label your personal cargo on the top of the box/crate so it clearly shows on a single surface. 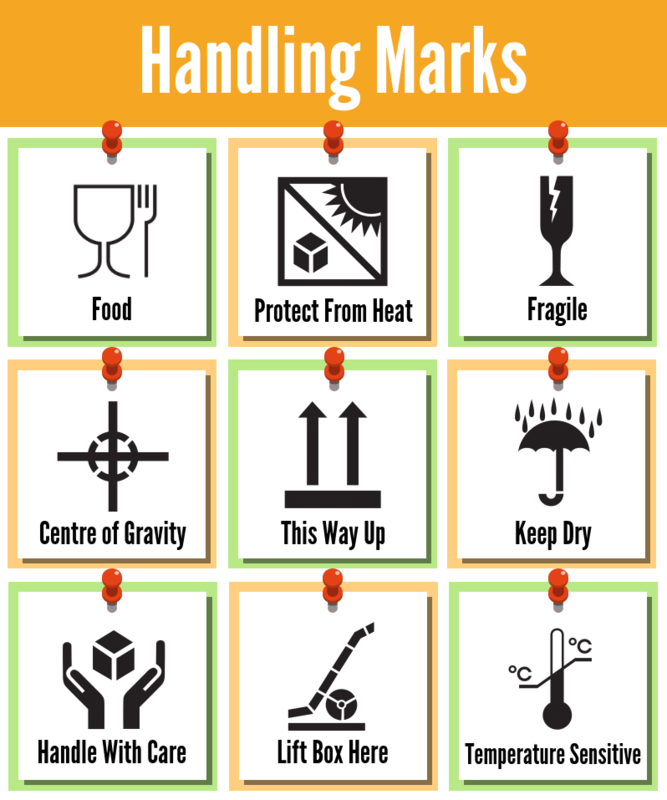 If you have specific instructions regarding your personal cargo, you can include handling marks such as the following too. Posted May 21, 2018 by Transco International & filed under Blog. For those looking to ship a car from Australia to Asia, South Africa or anywhere in the world, there are a few procedures that one must go through and a few way that you can do it. Today, in the Transco Cargo Australia blog, we look at what you need to know when shipping a car from Australia. By car, we do not limit ourselves, but also include anything from jeeps, motor bikes and more. There is one way that seems easiest to do, which would be shipping a car via a RORO (Roll On Roll Off) shipping vessel which are greatly used for automotive dealers as it means that the vehicle is driven onto the vessel, latched on for safety during the journey and driven off at the destination port. This will require fuel in the tank. However, another way you can go about shipping a car from Australia is via container shipment. Via this method, there a few things to keep in mind and we will go through each item one by one for your information. When you are in the process of shipping a car from Australia, one thing to keep in mind is that Australian vehicles are all right-hand steering wheel models, and thus you should ideally only export the vehicle to a currently that also facilitates the same along with left side driving. These include most countries from the commonwealth or those that were previous British Empire colonies. The fact of the matter is that unless the country you are shipping a car from Australia to will also fall in line with the same driving patterns, it does not make sense to export a vehicle to the country. But if not, the following includes what else is required when exporting or shipping a car from Australia. You will need to prove ownership prior to shipping a car from Australia, and should have it paid in full, this is usually with a Bill of Sale copy. If one is not present, a valuation may be needed. Furthermore, you will need to have an import permit/license (which may differ from country to country). You may speak to the Transco Cargo Auto Shipping Agents to find out more on this. If you are choosing RORO method of shipping a car from Australia, then you will need to remove all personal belongings from the vehicle. This is essential; if any belongings are found the vehicle will not be allowed to be boarded onto the RORO shipping vessel. Furthermore, your vehicle should be in good running condition and be fully operational. If these are not adhered, shipping a car from Australia will be done through containerisation only and will be driven into a container and a ratchet/harness will be used to hold it down for safety. Posted May 16, 2018 by Transco International & filed under Blog. When you are in international business, choosing your logistics partner is just as important as finalising your business plan. With international freight forwarding and transportation, shipping with a reputed freight forwarder goes a long way. With a trusted partner in your reach, your business will be elevated for a smoothing and hassle-free process. In the process of shopping for your freight forwarding partner, you need to factor in a few things. These include the likes experience with cargo types, network reach, volume of work, range of services, and financial stability. Transco Cargo Australia ticks all those boxes. At Transco Cargo with over 25 years’ experience in the industry, we handle both personal and commercial cargo, making our service portfolio extensive. Furthermore, we look at tailor our logistics service to fit your needs. We streamline premium steamship lines and Less than Container (LCL) providers with all active global shipping ports to offer a series of shipping services including direct services, transhipment services, temperature controlled services, LCL and FCL loads, cargo consolidation services, oversized project cargo and more. As a reputed freight forwarder in ocean freight services, we also bundle our services with customs clearances, customs brokerage services and door-step delivery to ease the load from your plate. As we have mentioned above, with our relationships with agents at a global scale, we are able to cargo to the corners of the world. Services over 244 countries, we are able to handle your personal and commercial cargo needs as your reputed freight forwarder. Posted May 13, 2018 by Transco International & filed under Blog. From the 1st of April, 2018, Transco Cargo made some major operation changes to not serve our customers better. Whilst moving the Noble Park branch to the new Dandenong South branch on Discovery Road as well as making it the new Head Office, its prime location makes it accessible to customers looking for both commercial and personal shipping. With operations under way, we would like to inform our valuable customers of what we offer, to ensure we stick to our motto; “we love to deliver”. Transco Cargo is now located in Dandenong South, Campbellfield and Hoppers Crossing. The new branch located on 206-208, Discovery Road in Dandenong South offers our Melbourne base a bigger and better facility and much more! Within our 1st week of operations, we are pleased to announce that we have had a great response and our new warehouse is already full! We have shipped over 30 cars in our 1st week alone! Check out our video and images from our new Dandenong South office and warehouse below! Like we said in our previous blogpost “Presenting the New Transco Cargo Office in Dandenong”, we are offering the same services as our other Transco Cargo branches in Melbourne include freight forwarding for Commercial Cargo and Personal Cargo from Australia, Sale of Shipping Boxes & Crates and shipping accessories, Customs brokerage services, and not to mention pickup and delivery services, packing services and warehousing/storage too. Our warehousing and storage services include the likes of the following; QIS Inspection Services for Food and Personal Effects Shipments, Customs Bonded Warehousing Facility, 3PL Services, 24/7 Security with CCTV footage and back-to-base monitoring to name a few.